When it comes to interior design, the bathroom can sometimes end up a little neglected. We tend to focus on the rooms we spend the most time in, particularly the kitchen, which for many is the heart of the home, and end up with not a lot of money left over for the less frequented rooms in our house. 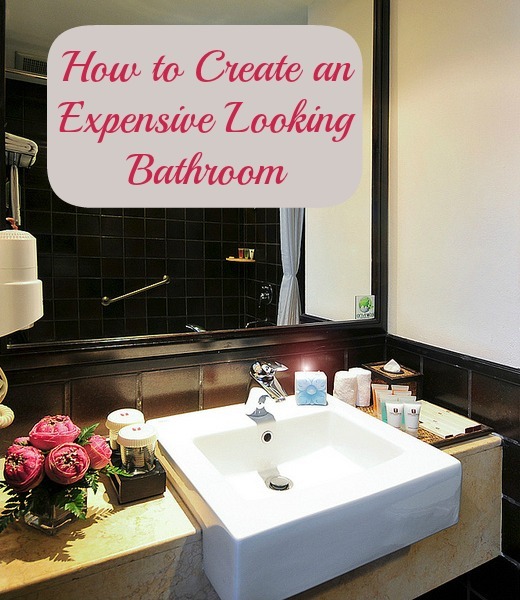 The good news is though that you don’t need to splash too much cash in your bathroom to create a luxurious feel. Most interior designers agree that the look of a room is often more about the detail – and in a bathroom particularly choosing one or two really high quality items can totally lift the whole feel of a slightly outdated suite. As much as you might want to go the whole hog and start from scratch you probably don’t have to. Unless you have a nasty 1970’s avocado suite you may be able to recycle a lot of the basics – a white sink is a white sink after all, and if it’s fairly neutral you can probably get away with keeping it. Have a proper look at your bathroom before you start and be honest with yourself about what really needs to go. If you’ve decided to keep your basic suite, you can always add a touch of glam by simply replacing the fittings. Investing in a really contemporary and stylish set of taps for example can transform a plain white bath without blowing the budget. No one will ever realise that the taps are actually the only thing that has been replaced! If you have the time and the energy to get creative but just lack the ideas then Pinterest could be a great place to start. Create a board for bathroom ideas and pin the looks that you feel capture the essence of what you are trying to create. These could be pictures of entire bathrooms or single taps, it’s just about getting creative and quite literally pinning down your thoughts and themes. Just like in fashion, interior design is all about the accessories. You might have a gorgeous bath or a super sleek sink but the little extras are what give the bathroom character and show off your personality. The trick is not to overdo it so look instead at single beautiful pieces that really make a statement such as a large ornate mirror or a striking candelabra – perfect for those late night relaxing soaks by candlelight. Do keep in mind though that bathrooms get dusty, so choose accessories that are easy to keep clean! Pingback: Style over Substance: Is your Home Comfortable?